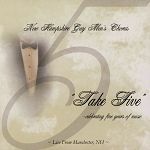 Take Five commemorates our 5th anniversary in 2003. This CD contains favorite selections from the first four years of the Chorus as chosen by its members. It includes the beautiful and legendary bass solo by our Artistic Director, Luc Andre Roberge, of Old Man River from the musical, Showboat, as well as a nostalgic song that has become NHGMC’s unofficial anthem, Brothers Forever. 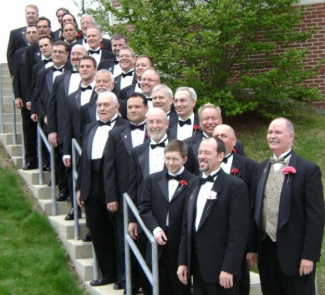 The Chorus produces two concert series each year, a winter concert series in early December and a spring concert series in early May. Throughout the year, we also accept additional requests to perform from community organizations. For details on our upcoming performances, please visit our Events page. Membership is open to all men, 18 years of age or older, who are gay or gay-supportive and who enjoy the satisfaction of singing in a vocal group. New members are welcome to audition and join the chorus at the beginning of each season (in early January and in early September).